Cape Cod weddings are the best. You have soft light at sunset, you have the beach grass and you have the beach. 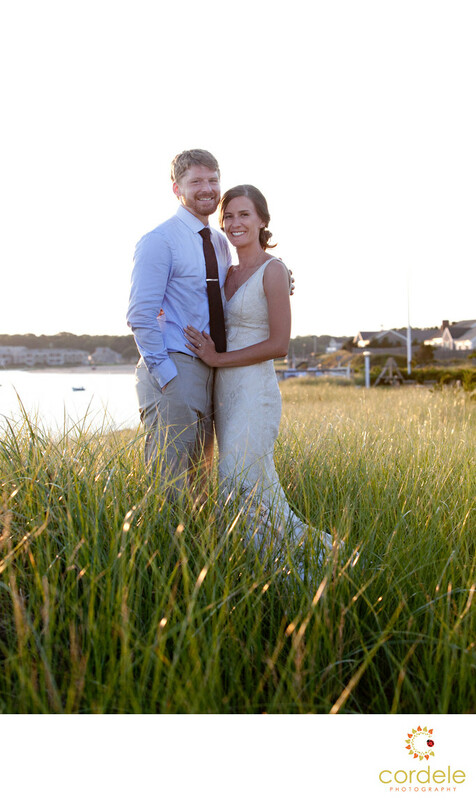 Aislinn and Derek were married at a private beach house in yarmouth Ma. They rented three other houses to put their guests in. Aislinn grew up summering down the cape so when she called to book me, we bounded over that. Her sister is the one that referred her to me. The day of their wedding they had such lovely wedding. I absolutely love the attire that Derek wore. He stayed beach casual with Khakis and a blue shirt and Aislinn wore a fitted dress that flowed in the wind. She wore her hair back and they even found a way to incorporate their dog in the wedding! Tucker walked down the aisle. He was such a good dog and he and I are now best buds.